After reading this book, I have a lot of... feelings. Feelings that won't stop haunting me before I go to sleep; feelings that make me want to curl myself up in a fetal position in the corner; and feelings that just make want to... scream. Ash and Natalie haven't had the easiest of relationships, and just when you thought things were finally about to look up for him... they don't. Phoenix picks up where Black City left off - Ash is now a hero to the rebellion, and there are now more humans and darklings alike who are devoted to the fight for equality between all beings. Purian Rose is frustrated with the rapid growth of the rebellion, and he is willing to do anything to ensure the continuance of his regime. Moreover, he has found a way to hurt Ash where it would devastate him the most, when he makes him choose between Natalie's life or the cause he has dedicated himself to. Ash, of course, is heartbroken, and rightly so. How exactly can he denounce his cause, yet at the same time, how on earth can he just let Natalie die? Right off the bat, I felt bad for Ash and Natalie. They're supposed to get married, to live happily ever after, but that simply won't happen anytime soon. They just cannot get a break! However, one thing is for certain - I can't help but admire their love for each other. It's just so strong and magnificent, and just apparent throughout the course of the novel. Despite all the nonstop difficulties the two of them encounter - be it about Purian Rose or their relationship - you really cannot deny just how much they care for each other. I truly loved reading about how Natalie and Ash display their deep affections for one another. Some part of me truly believed that their love can trump all. I particularly felt emotional when Natalie herself encouraged Ash to choose the lives of the darklings instead of hers. Not a lot of people can do something that selfless. I'm going to admit, however, that I did kind of want to smack both Natalie and Ash a few times while reading Phoenix. Though I understand perfectly their reasons for doing so, it pained me to see them not communicating with each other. It hurt to see them think the worst of each other. I'm going to laud Richards' writing on these parts, simply because while I was frustrated with both characters, I still felt for them, and I knew where they were coming from. That's not exactly an easy balance to strike, and Richards did so with no problem whatsoever. 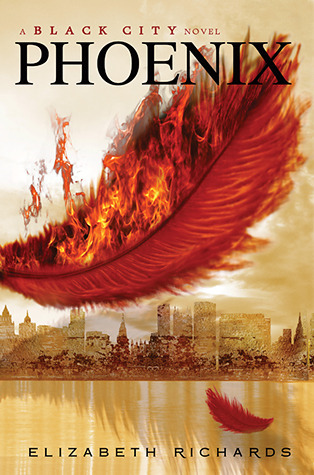 Most sequels usually suffer from the "second book syndrome" (okay I may just have made that term up), but Elizabeth Richards' Phoenix doesn't. The action picked up; the romance sub-plot made for an entertaining read; and both main characters experienced apparent character growth. Natalie's discovery did break my heart, but hey, what's to remember about a book that didn't make you tear up, right? Loved Phoenix! 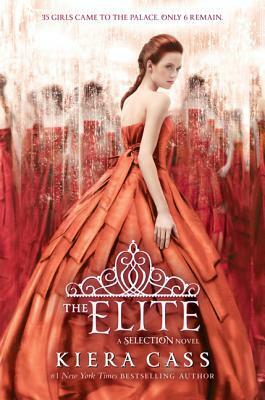 Cannot wait to read the next book! Absolutely love the covers of both the books!! Love the cover book, my Fb friends say this book was great read. I've heard nothing but great stuff about Phoenix and Black City and your review only confirms that I must get to these books really soon. I'm so glad you loved this one, Lyra. Action packed with sub romance sounds great! Nice review! also thank you Lyra for hosting this giveaway. Really looking forward to reading these and I like your blog layout! Elizabeth, I loved Black City. It went beyond my expectations! I cannot even imagine how far beyond Phoenix will be! And boy oh boy am I looking forward to it in a big way! Defiantly Deviant, thank you for the giveaway!